As an active member of the breastfeeding community for nearly two decades I have seen so much marketing of formula from a personal place and for new parents. The marketing gets more and more clever and nefarious each day. I was once helping a mom and baby in an apartment building in New York City where one has to be buzzed in. I was with this family for about an hour and a half. The buzzer never buzzed and the doorbell never rang. Upon my departure I nearly fell over a box of formula. The mom had not ordered this. Currently infant formula manufacturers make formula specifically for breastfeeding moms. Why? Is it really different? Breastfeeding is the biggest market competitor for formula companies. It was very exciting for me when, in 2012, Mayor Bloomberg took the marketing of formula out of New York City hospitals. Many people were upset by this action. They claimed that they were being bullied into breastfeeding. They were angry that they were not getting their “free” gift from the hospital. This was not the case at all. What they did not realize is that by giving these “free” gift bags the citizens and patients were actually paying for these goodies. When a hospital gives away promotional items they are endorsing this product and they are using human power to handle these items. These “free” gift bags are taking up precious real estate in our already crowded hospitals. This is FREE advertising for the pharmaceutical industry. FREE advertising. Those guys have plenty of cash to buy advertising but why spend it when the hospital will do it for free? This is important because we know that breastfeeding rates decline where formula is marketed. This is not an anti-formula campaign rather it is a recommendation to support healthy outcomes both long term and short term. The campaign is designed to take an ethical approach to promote breastfeeding as the normal way to feed babies. Unfortunately the United States has not agreed to this recommendation. 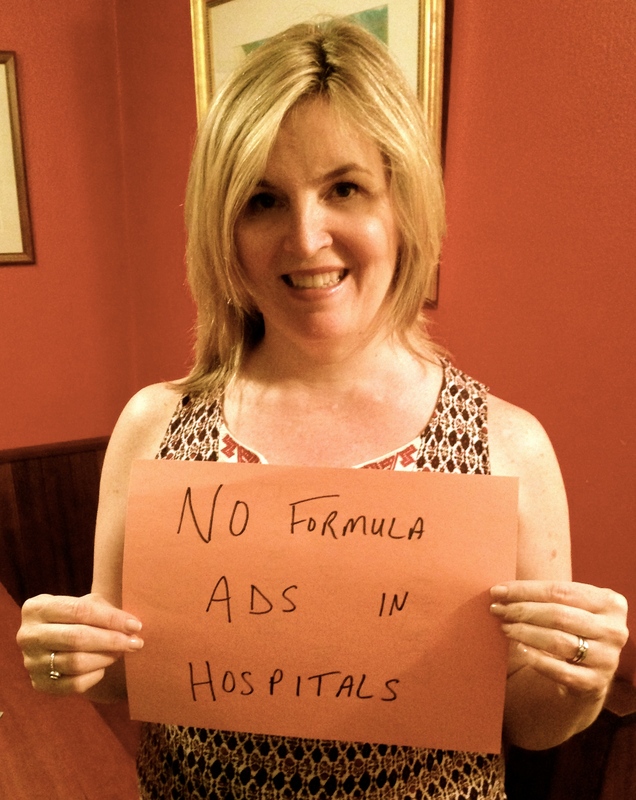 On this anniversary the Public Citizen’s campaign to End Infant Formula Marketing in Healthcare Facilities is firing up to bring awareness to the continued marketing of formula in the US. As an advocate for breastfeeding families I will join this day of action. What will you do to promote breastfeeding?